Made from special hardened steel chain with a fabric sleeve to prevent cosmetic damage to paint and chrome. It is one of the most secure chains available on the market. Remember that a security system is only a strong as it's weakest link so a high security padlock is also recommended. Will this chain fit my padlock? This is a common question since it is often thought that both ends of the chain need to slide through the shackle. However, these chains are designed so that one end of the chain loop will slide through the other enabling you to secure the padlock onto the chain using just one loop. This enables almost all our padlocks to fit every chain within reason. 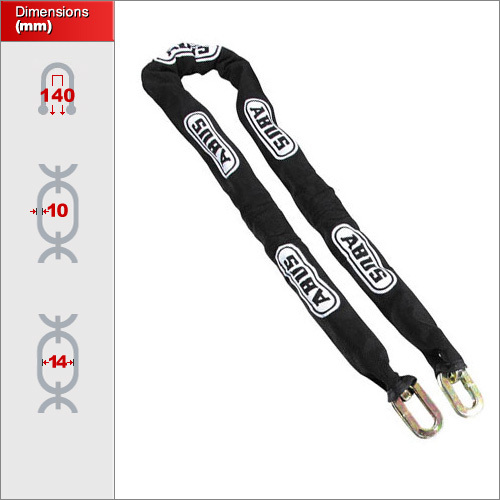 We have four sizes of high security chain. 170cm, 140cm, 110cm and 65cm. 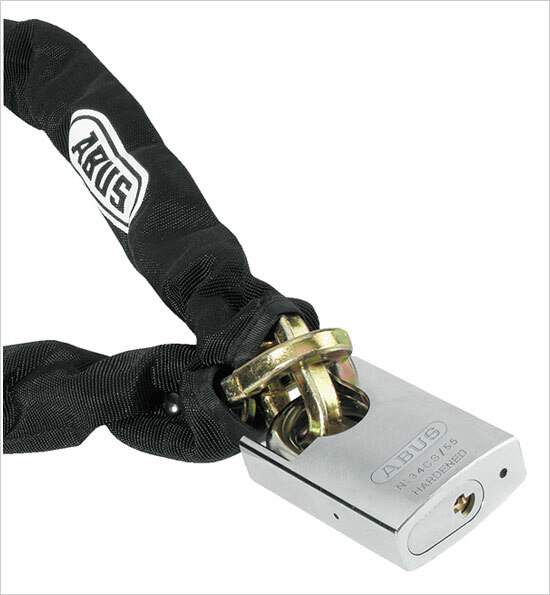 Please note that our 65cm chain only has a 9mm clearance inside link and so will not be compatible with high security padlocks with a shackle larger than 9mm for example. Most commonly used to secure valuable motorcycles. However, it is also used on gates, bollards and barriers.